We’ve partnered with Transform Healthcare Cambodia (THC) to open the sixth SicKids Sensory Space today. The new Sensory Space in the north of Cambodia will enhance care for children visiting Battambang Referral Hospital, where our Sensory Space has been built by THC, thanks to funding from SicKids, to our unique specification. THC is a UK based charity providing healthcare education, training and clinical expertise by UK healthcare professionals volunteering their own time and money to support Cambodian colleagues. Sensory facilities are proven to support the development of the senses – like touch, hearing and sight – through special lighting, music, tactile objects and a calming environment. They’re a key part of child development, especially for children with conditions such as Cerebral Palsy, Development Delay, Learning Disabilities and Autistic Spectrum Disorders. The SicKids Sensory Space concept takes all the life-enhancing equipment, toys and principles from traditional sensory rooms, and enables them to be re-packaged for use in physical spaces where you wouldn’t usually find this amazing kind of kit. Developmental delay is prevalent among children and young people in Cambodia, but unlike some other countries in the world, there is very little access to specialist care. The new SicKids Sensory Space is the first-of-its-kind in northern Cambodia, and will greatly support the wellbeing of the many children and young people in and around Battambang, the country’s third most populous city. The first SicKids Sensory Space was opened in September 2017 in the Children’s Emergency Department at North Manchester General Hospital in the North West of England, by Her Excellency Dr Rathchavy Soeung, Ambassador Extraordinary and Plenipotentiary of Cambodia. Dr Soeung was keen to learn more about how children in Cambodia would benefit from similar facilities. 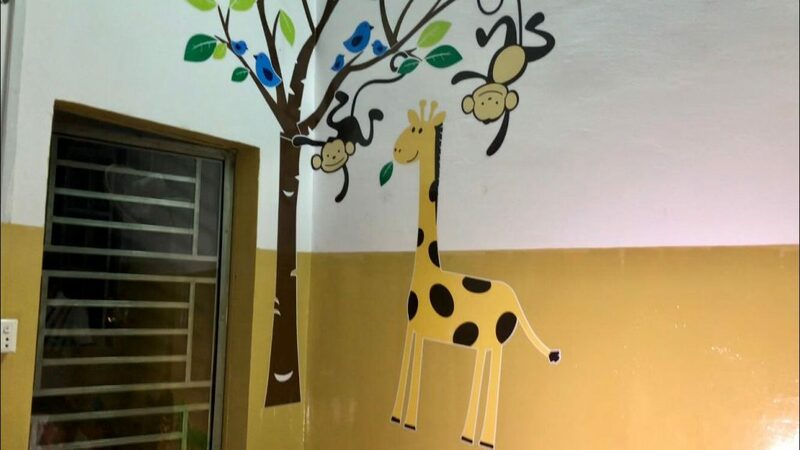 Since then, we’ve funded, designed, built and opened new Sensory Spaces at M’Lop Tapang Health Centre, M’Lop Tapang Baby Care Programme and at Phnom Kiev, all in the Sihanouk Province in southern Cambodia, and the PANDA unit at Salford Royal NHS Foundation Trust, in the UK. The template for the SicKids Sensory Space was co-designed with children and young people and their families, ensuring it met the needs of patients needing these life-changing facilities. We’re delighted to introduce the concept to the north of Cambodia, playing a small but significant role in protecting the country’s future, one child at a time. We don’t want to stop now, and every penny helps. Unlike many charities, we have no overheads, so we can guarantee that every penny we receive will go directly towards protecting children and young people. To find out more and to donate, click here. The SicKids team has arrived in Cambodia for a busy week of clinics and teaching, supporting the health and wellbeing of children and young people. Joining our Chairperson, Professor Andrew Rowland, and Trustee Den Carter, are two new SicKids grant recipients, Diana Manchester, a Speech and Language therapist, and Lesley Lord, a children’s Physiotherapist. They’re both practitioners at Fairfield General Hospital, Bury. 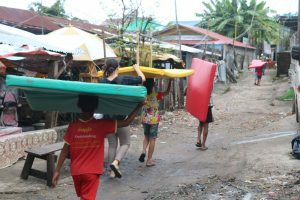 Diana and Lesley applied for SicKids grants to travel to Cambodia as a career development opportunity, and to share new skills to local health and social care workers in Sihanoukville. Diana is an expert at helping children to communicate in ways that might not be by using words (like those with autism) and also helping to develop language skills. Lesley will do comprehensive assessments of children who are physically disabled and help to put strategies in place to improve movement, joints and posture. 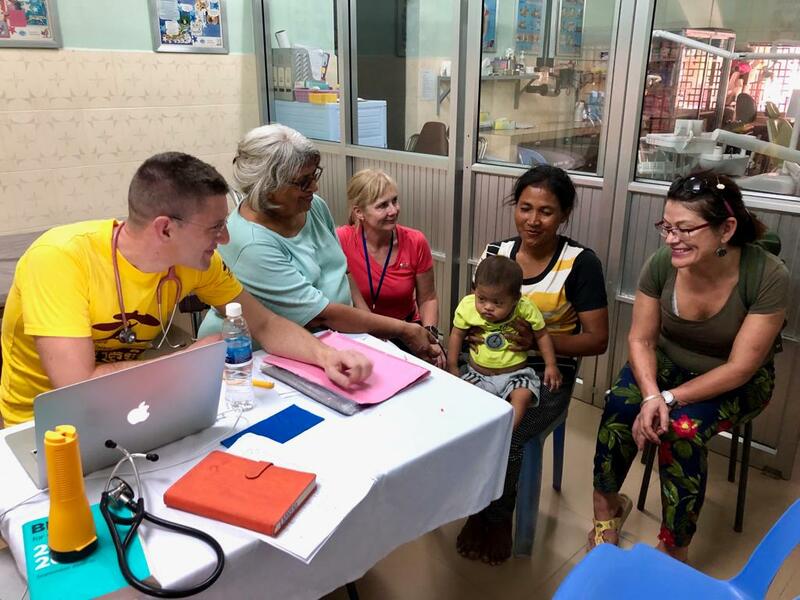 Meanwhile, we’re also thrilled that Dr Bratati Bose-Haider, who traveled to Sihanoukville with a SicKids grant last year, has returned to the region with the team, this time as a volunteer. She will join Andrew for a week of specialist clinics. Child developmental delay is prevalent in areas of poverty, such as this region of Southern Cambodia. Once again, our base for the week is M’Lop Tapang, a non-governmental organisation that provides health services and education both at their main campus and in satellite centres and mobile outreach facilities across the region. Later this week we’ll also open our fourth Cambodian SicKids Sensory Space, this time in the north of Cambodia – watch this space! Donate here to help us protect the future, one child at a time. We’re thrilled to welcome Jenny Brown to our Board of Trustees. Jenny joins Andrew, Dianne and Den as part of the charity’s leadership team. We’re all volunteers, and personally invest time and money into SicKids, which means – as, unlike many bigger, SicKids has no overheads – we guarantee that every penny we receive from donations goes directly towards supporting the health and wellbeing of children and young people in the northwest of England and in Cambodia. Jenny is a Managing Director of Women and Children’s Services in a large acute hospital in the northwest of England. She has worked as a healthcare administrator in the NHS since 1991 and has undertaken a variety of administrative and operational management roles. After working for over 17 years in a world leading cancer hospital, in 2008 she began working in one of the largest acute hospital Trusts in England and along the way was awarded a PGDip in Health Services Management from The Manchester Business School. 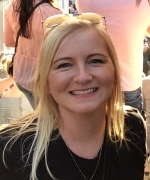 Jenny has worked across several areas of acute healthcare services including oncology, critical care, emergency and acute medicine, paediatrics, neonates and maternity services. Having worked across a variety of health services that children and young people (CYP) access, Jenny is aware of how often the needs CYP and their carers are not always recognised or provided, and is looking forward to working with SicKids supporters to make the difference. When Jenny’s able to get away from the both hospital and the housework, she enjoys watching live music, hill walking and running… slowly! We’re delighted to have held the grand opening of the new SicKids Sensory Space at Salford Royal NHS Foundation Trust’s PANDA Unit. Councillor Ronnie Wilson, the Ceremonial Mayor of Salford, performed the opening ceremony on Monday 1 October, assisted by a special guest, Amelia Candland, aged 5. The hospital’s PANDA Unit provides dedicated emergency and short stay care for children aged under 16 years of age. 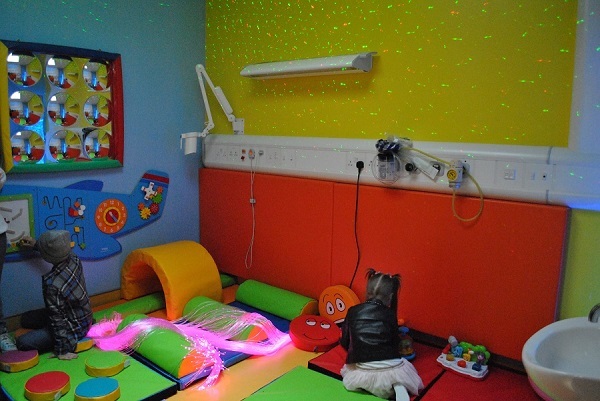 Sensory facilities are proven to support the development of the senses – like touch, hearing and sight – through special lighting, music, tactile objects and a calming environment. While many hospitals and health centres in the UK have similar facilities in their children’s wards, there are very few with 21st Century equipment within their emergency and urgent care settings. 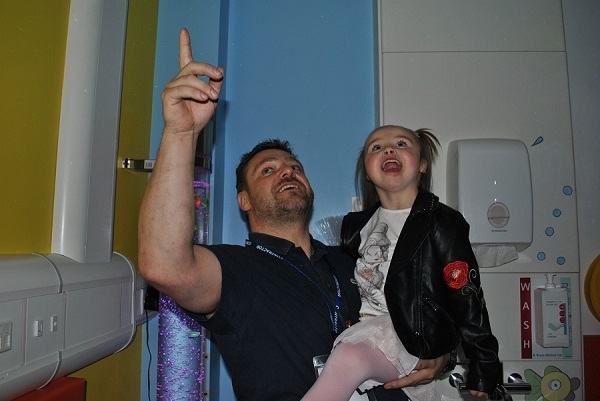 The sensory space is the second we’ve opened in Greater Manchester, and the fifth overall, built thanks to the generosity of our supporters, to the unique standards and design process we pioneered last year when we opened the first SicKids Sensory Space at North Manchester General Hospital. Our unique design process incorporates the co-creation of facilities by local children and their families, who have been involved with creative input and ideas to make the facility as welcoming, attractive and effective as possible. 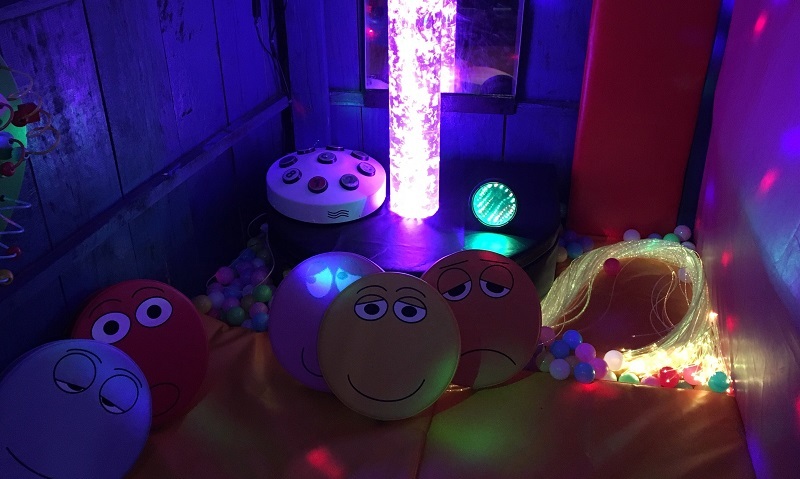 Our first Sensory Space was recognised for providing “outstanding facilities” by the Care Quality Commission (CQC), the independent regulator of health and adult social care in England. In the last ten months we’ve also opened three state-of-the-art Sensory Spaces in Sihanoukville, Cambodia, offering life-changing facilities to hundreds of children. 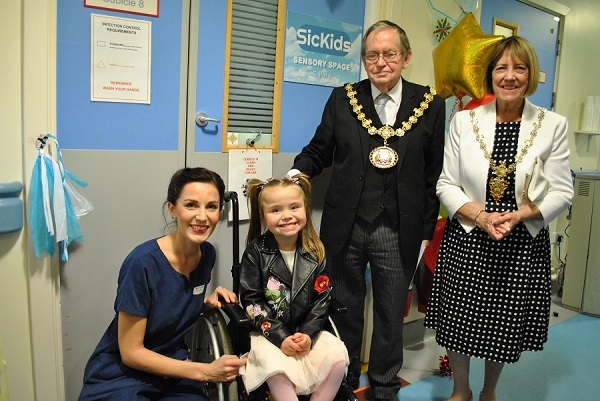 Our photographs feature Salford resident, Amelia Candland, aged 5, along with the Ceremonial Mayor and Mayoress of Salford, Rachel Baird from the Panda Unit, and Dianne Cook and Andrew Rowland from SicKids. It’s amazing that children, young people, and their families have co-designed this facility. 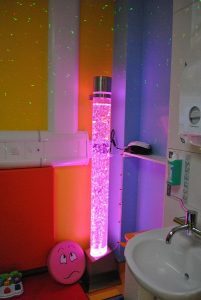 Having a state-of-the-art sensory space in the children’s emergency department will really help the hospital to deliver better care to children and young people who attend the department with a learning or physical disability. It will also make the environment much more welcoming for children who are frightened about coming to hospital. We are thrilled to have this fantastic facility, which will provide a safe and calming haven for children who may have additional needs, such as autism, but also for those who are in distressing and frightening situations. This wonderful environment means we can continue to provide important treatment in a clinical space that just so happens to look and feel a bit different for our patients. I was delighted to officially open the SicKids Sensory Space. As a Councillor and now Ceremonial Mayor of the City of Salford I have always been proud of Salford Royal Hospital’s reputation and the dedication of its staff in the huge variety of roles and positions necessary for good team work. It has always been proactive in its approach to healthcare from cradle to grave giving hope and confidence to all. As a parent and Grandparent, I have been no stranger to Accident and Emergency over the years. I know first-hand how important it is for young ones to have a warm, friendly, safe and engaging environment. This then occupies their minds and settles their fears and worries and is a place they are happy to be in. I will not wish you luck in this new venture but every success as I am sure it will be a great success. Thanks to the generosity of The Toy Trust, we’re thrilled to announce the opening of two new SicKids Sensory Spaces in Sihanoukville, Cambodia. 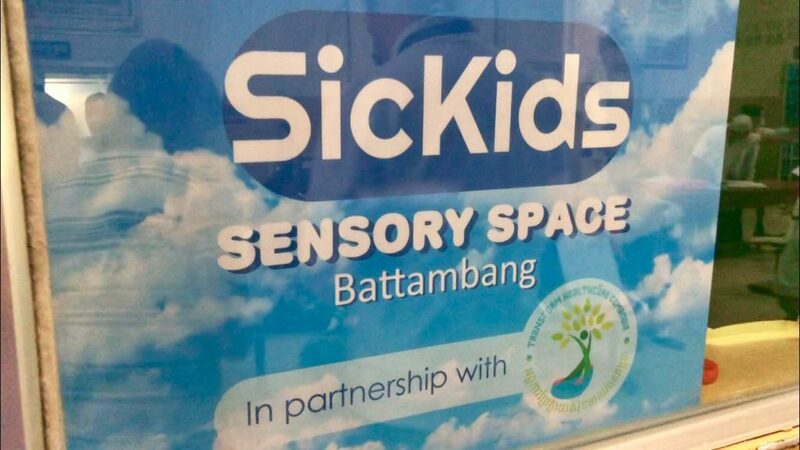 This brings the total number of SicKids Sensory Spaces up to four, following last year’s successful opening of our first facility, at North Manchester General Hospital, and the milestone first-of-its-kind space in Cambodia. 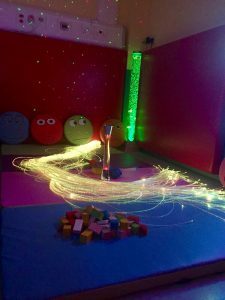 Our two new Sensory Spaces are kitted out with top quality sensory toys and equipment, purchased by SicKids thanks to a grant from The Toy Trust, an awesome charity that exists to raise money predominantly from the toy industry, its suppliers and friends. It awards grants to other charities helping disadvantaged and disabled children. Our new Phnom Kiev Sensory Space provides sensory support inside a specialist baby and child care unit in a particularly poor urban area. Despite being in the middle of the city, Phnom Kiev (Blue Mountain) is particularly hard to get to by road. Our equipment needed to be carried in a relay by staff and volunteers from the local community. And we’ve opened a second Sensory Space at M’Lop Tapang’s main centre. This facility is specially built for babies and children under the age of five with developmental delay and/or malnutrition. Before, I did not even know what a Sensory Space was. 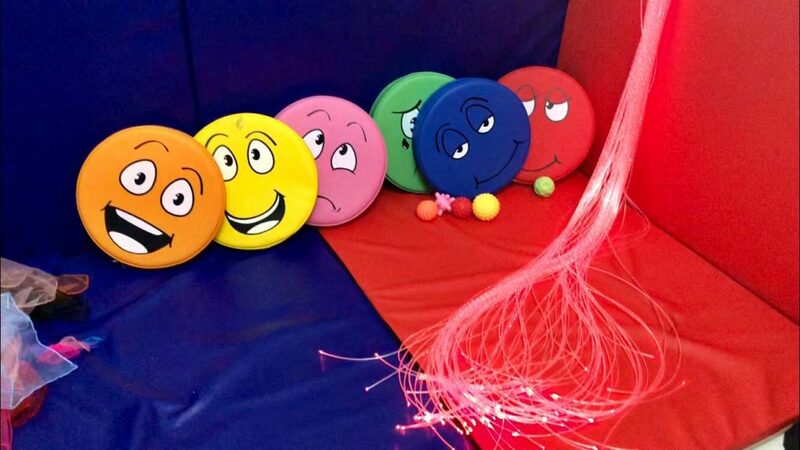 Now that we have one I understand how the room can help children with problems to calm down. They are able to focus more and concentrate more when they are in the room. The Sensory Space has been such a great addition to our services. For the small children we work with that have suffered from severe neglect, the space allows them to explore in a safe environment and provide the sensory stimulation that that they have been lacking and helps with their development and healing. We’re now working on our fifth, sixth and seventh SicKids Sensory Spaces, opening both in the UK and Cambodia in the coming months. Watch this space! During the recent inspection of North Manchester General Hospital the Care Quality Commission (CQC), the independent regulator of health and adult social care in England, recognised our Sensory Space in the children’s emergency department. We are delighted that our first Sensory Space has been singled out as an area of outstanding practice, less than five months after it was opened by the Deputy Lieutenant of Greater Manchester, Her Excellency the Cambodian Ambassador to the United Kingdom and the children and families who co-created our wonderful space. “It is an absolute joy that our co-designed sensory space has been recognised by the CQC. This highlights the value of working together with children, young people and families, to provide innovative facilities which result in improved quality of care within emergency and urgent care departments”. We’re delighted to confirm we’ll soon be opening more sensory spaces, both here in the UK and in Cambodia, which will provide amazing facilities for thousands more children and young people. Do you work with Children and Young people in an Urgent Care Centre or Emergency Department in the North West of England? We opened our first two SicKids Sensory Spaces in 2017. They’re kitted out with modern sensory toys and equipment, with a retail value of £4,200. We’re now offering Sensory Space Grants, along with consultation and expertise to support Emergency Departments or Urgent Care Centres in the North West to open their own Sensory Spaces. Any North West of England Emergency Department or Urgent Care Centre that sees over 16,000 CYP annually and wishes to enhance and improve the patient experience and hospital journey of CYP with learning disabilities. What is the grant value? £2,100 (in cash and equipment value) to help provide sensory equipment and facilities in your department, along with our personal consultation and support. 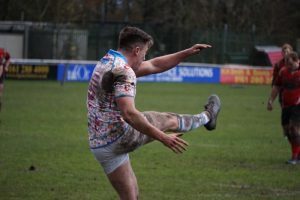 Sedgley Park Rugby Club (SPRUFC), also known as the Sedgley Tigers, from Whitefield in Bury, Manchester, have two charity games each season, one in November and the other in March. We’re thrilled that the club supported SicKids at its November event this year. 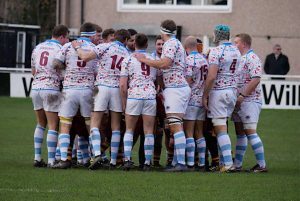 The game was a league game vs Blaydon RFC which SPRUFC won 43-26. SPRUFC plays in National League (North) Div 2 and is currently ranking fourth in this division. The league is incredibly tight at the top with two points separating the top five clubs. A massive thanks to the club for hosting a lunch before the match, with the proceeds going to SicKids. The lunch raised an amazing £1750, which will help us support children and young people in the North West of England and in Cambodia in 2018. We’re delighted to have held the grand opening of the SicKids Sensory Space at M’Lop Tapang, a non-governmental organisation whose services reach over 7,500 children and young people in the Sihanouk province of southern Cambodia. 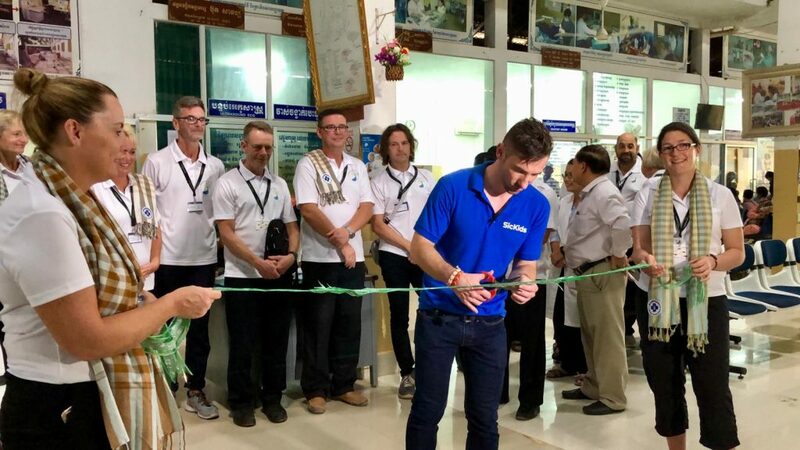 It’s the first-of-its-kind in Cambodia, and has been built thanks to the generosity of SicKids’ supporters and Rompa®, a leading supplier of sensory equipment. 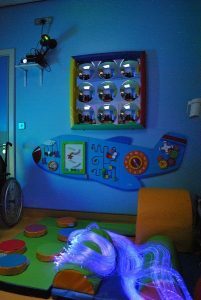 Sensory facilities are proven to support the development of the senses – like touch, hearing and sight – through special lighting, music, tactile objects and a calming environment. The SicKids Sensory Space at M’Lop Tapang is the second sensory facility we’ve opened. With our vision to support the health and wellbeing of children and young people in both the North West and in Cambodia, South East Asia, we’re currently focusing on the provision of life-enhancing sensory facilities in both regions. 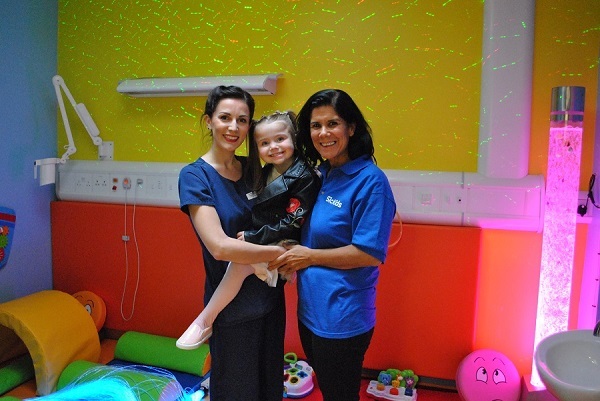 Since the opening of the first SicKids Sensory Space at North Manchester General Hospital in September, children have benefited from the life-enhancing opportunities it offers 24/7. Now the same opportunities are available in one of Cambodia’s poorest regions, where developmental delay is prevalent among children and young people, due to health concerns related to poverty. 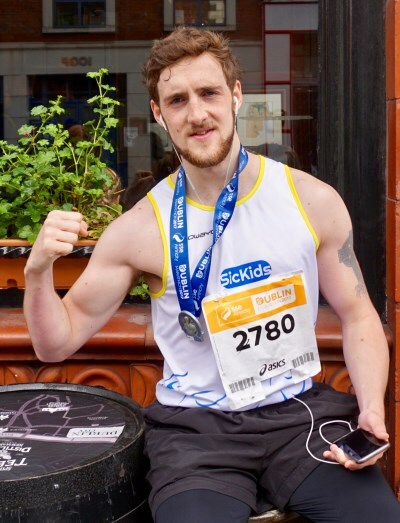 A massive ‘thanks’ to Charlie Stuart, one of our supporters, for completing the Dublin marathon in aid of SicKids. Yesterday’s 26.2 mile race through the streets of Dublin was Charlie’s first full marathon, which he completed in an impressive 3 hours, 28 minutes, raising just under £500. I decided to raise money for SicKids after looking at the website and being taken aback with the work they’ve done, projects currently ongoing and plans for the future. The fundamental principal of providing care, aid and assistance to those in desperate need resonated with me strongly, resulting in my desire to help in any way I could. Well done and thanks to Charlie! He may be our first sports challenge supporter, but we hope he’s not our last! Please get in touch if you’re up for a run, swim, walk, ride or any other kind of sporting activity and raise funds for us to help children in the UK and Cambodia.